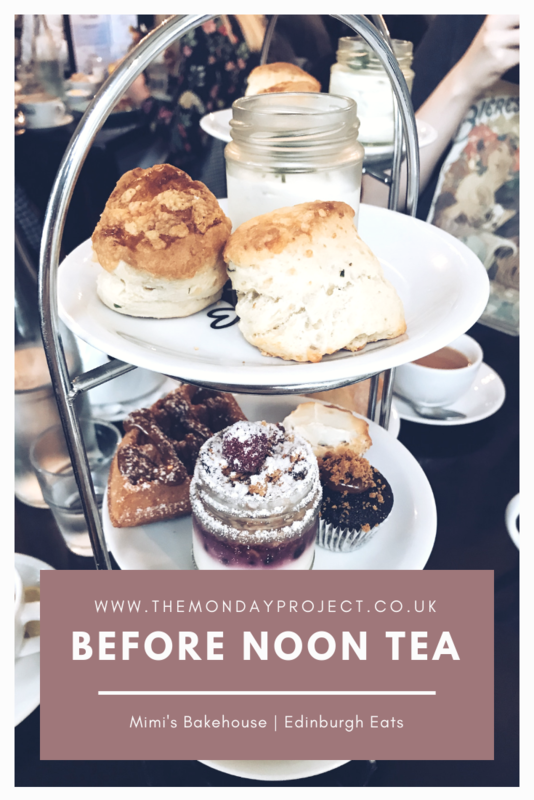 So, before noon tea you ask? What does it entail? 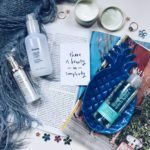 Is it as fabulous as it sounds? It is most fabulous indeed. 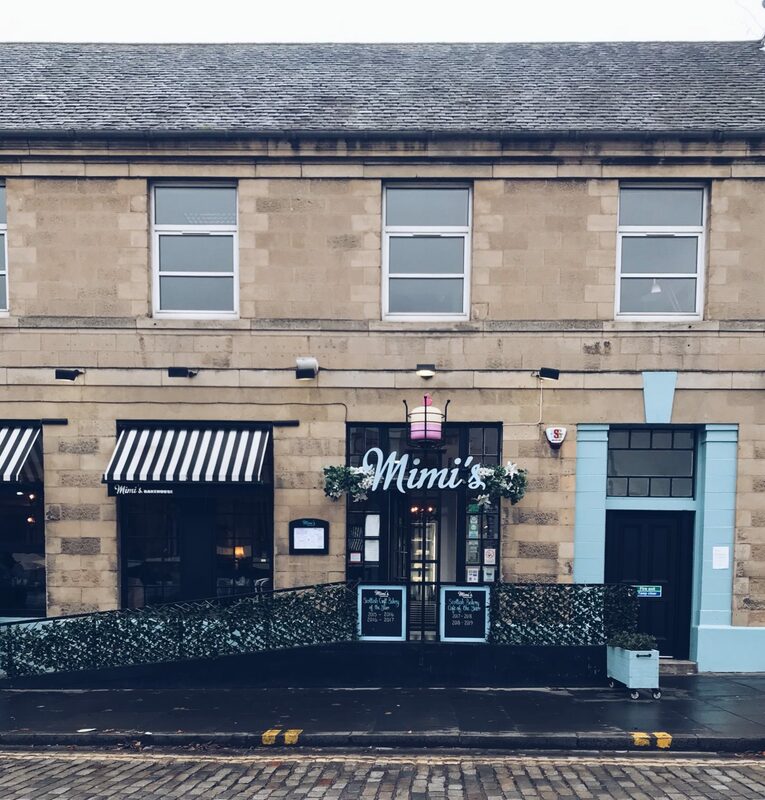 Mimi’s Bakehouse is nestled on the shore in Leith with views over the water. 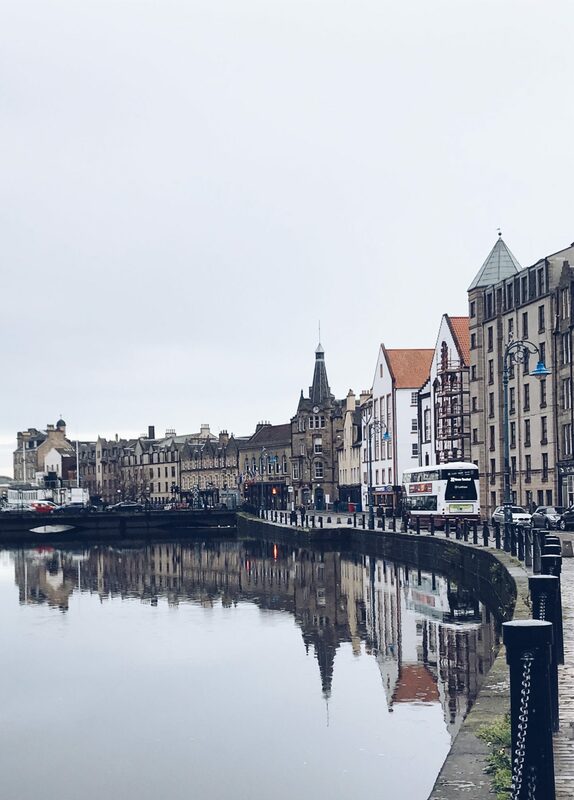 We walked from Newington which took around 50 minutes but the area is serviced by plenty of buses making it in easy reach of the city centre of Edinburgh. 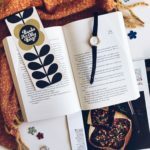 It is really lovely on the inside, with old-fashioned tearoom styling, and a busy atmosphere with diners and smiling staff. The cakes are on display, looking delicious, and there is a constant thoroughfare of people through the door, highlighting how busy the establishment gets, especially on a Sunday morning. We had a nice table by the window which meant it was a little quieter than the busier tables in the middle of the room and the waitress quickly took our order for one vegetarian and one meat-based before noon tea and soon the tea itself came, earl grey for me and breakfast tea for Hayley. 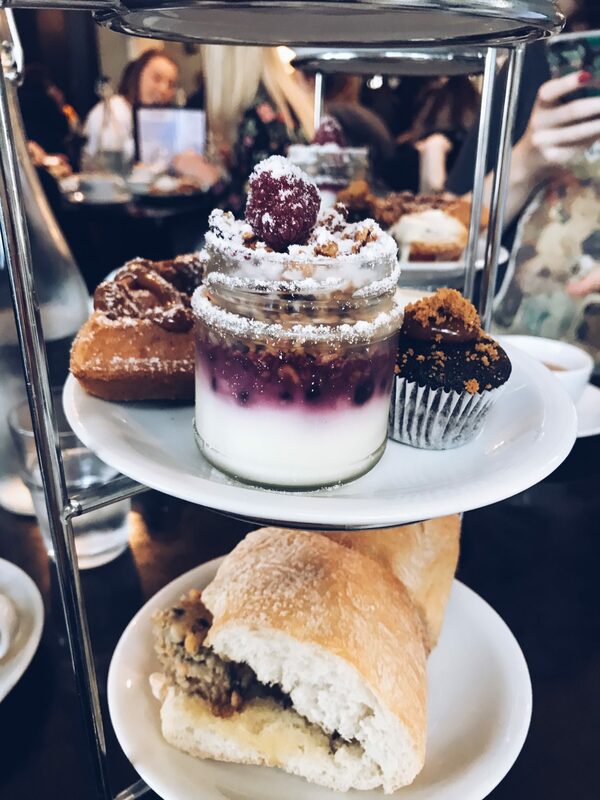 The before noon tea itself was gorgeous. 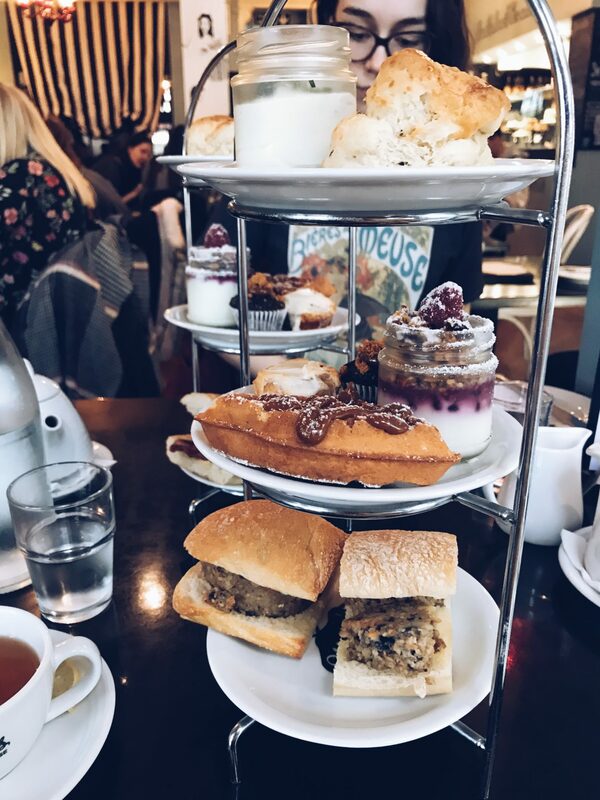 Tiny sandwiches with adorable sweet treats and the scones, oh the scones. I hadn’t looked at the menu beforehand so I was in for a surprise with what would be on the stand and I was not disappointed. On the bottom tier I had veggie haggis rolls which I garnished in brown sauce whilst Hayley’s had the same but with bacon. I always prefer savoury items at breakfast (unless it comes in the form of a croissant) so I would have loved another sandwich or two but that is me just being a pig. 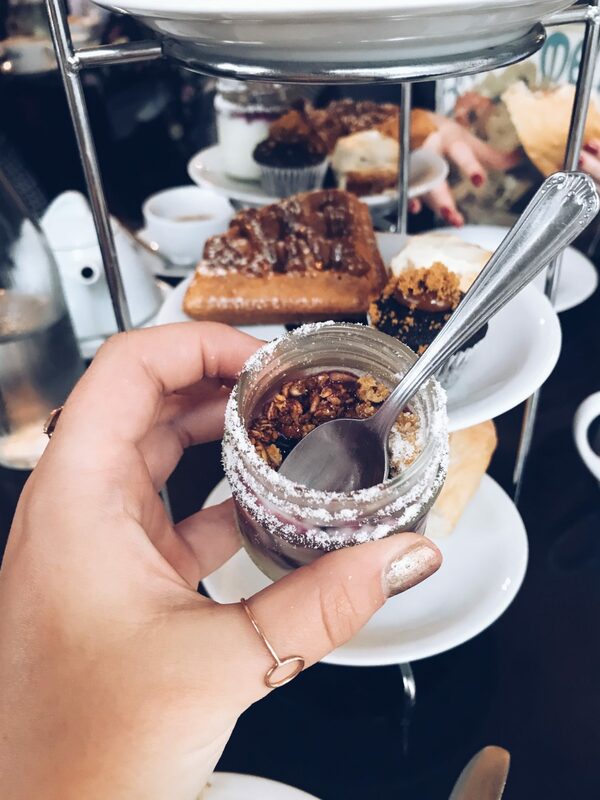 On the next tier up we had a mini pot of granola, a waffle coated in caramel, a mini chocolate cupcake and the cutest cinnamon swirl. The granola was delicious and I love that it came in a glass jar (no single use plastic in site at Mimi’s). 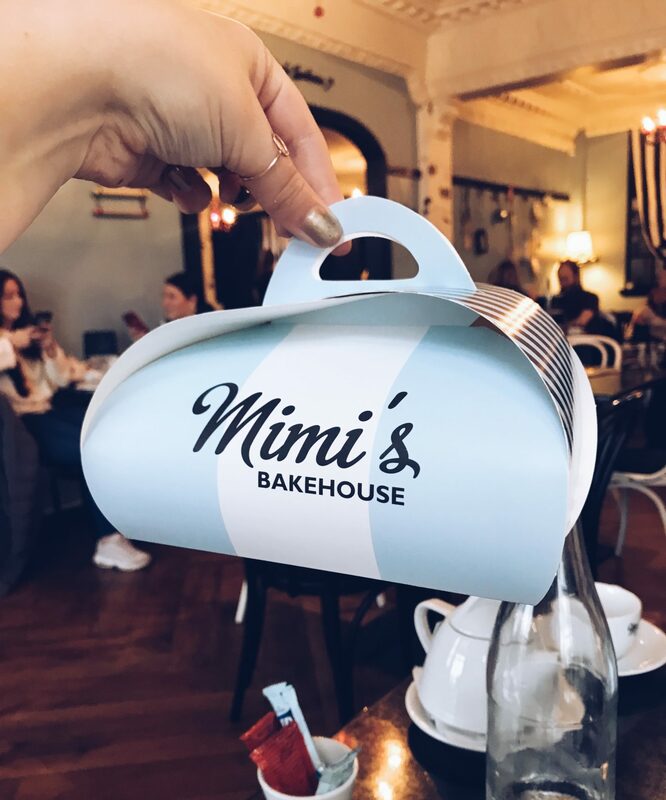 I ended up taking the mini chocolate cupcake and cinnamon swirl away with me in a Mimi’s cardboard box – I saw quite a few people taking away leftovers, especially those of us having before noon tea which is always a good sign. My only complaint regarding the waffle is that I wish it was coated in Nutella, not caramel. I’m not really the biggest caramel fan so if it had been Nutella I would have adored it as I’m a huge waffle lover. The final tier, the very top, was home to two cheese and chive scones accompanied by a mini jar of chive cream cheese. 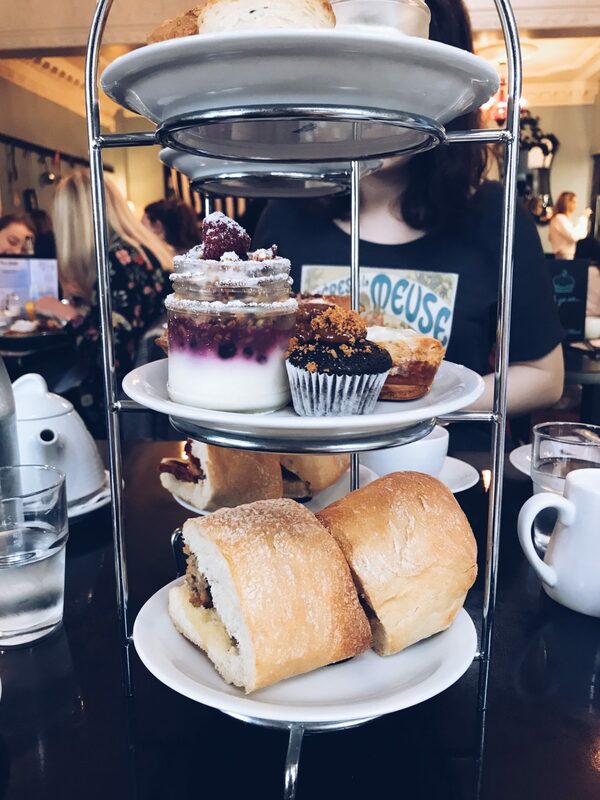 The scones were the fluffiest and tastiest scones I’ve ever had – I could have eaten double the amount and still want more. There was plenty of cream cheese for slathering on them and eating them was just such a treat. My trip to Mimi’s Bakehouse was a success and I would love to go back. 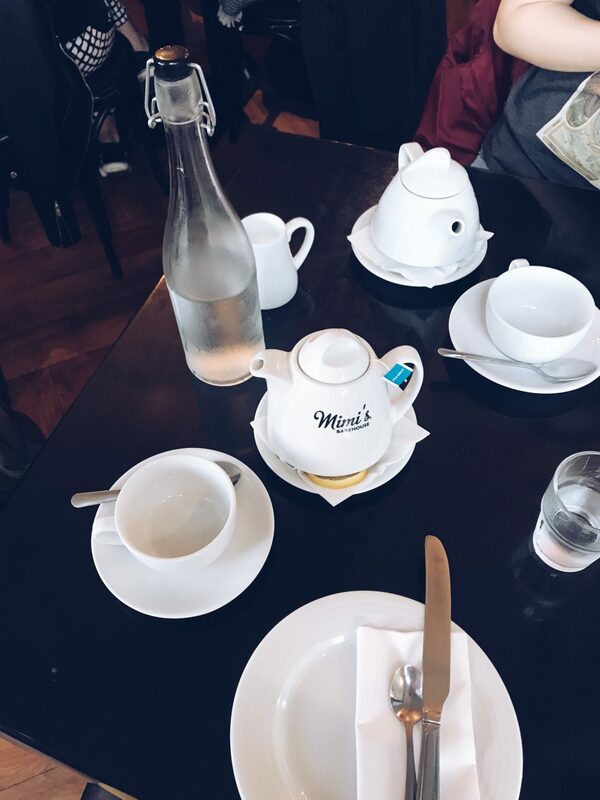 I never get to spend as much time in Edinburgh as I would like but when I do get to visit again I’d love to visit Mimi’s for brunch as I caught a glimpse of a few dishes (including the French toast and poached eggs with salmon) that are just calling my name.